Just a few years ago, mesh networks were considered so esoteric that no one would even think of using one unless you had wads of money and a cadre of geeks at your beck and call. The notion of someone using a mesh network to provide rural WiFi on a farm would have been laughable. Easy maintenance and administration – modern mesh networks like the ones we are discussing here use a central “dashboard” on the internet to manage the nodes, so you never have to go out and “touch” a node (unless it physically fails). Of course, while a mesh network can be expanded almost arbitrarily, it requires additional mesh nodes to do so. One of the most extraordinary things about the mesh systems mentioned earlier is that the nodes are quite inexpensive – from less than $100 apiece to a few hundred. Besides requiring enormous technical expertise, previous mesh networks cost thousands of dollars per node. The upshot is that, while mesh networks were previously only for the military and large companies, they are now perfectly suitable for your farm or homestead. 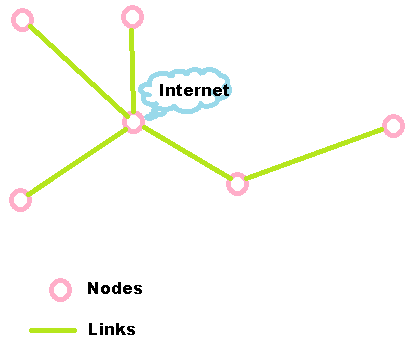 A mesh network of a single node is, essentially, equivalent to a single access point. You connect it to an internet source and turn it on, and it behaves much like a wireless router. The big difference is that you can simply install more nodes to “repeat” or “relay” the signal to different areas: further away and around obstacles to line-of-sight. You can also use those additional nodes to connect “wired” devices into the network by plugging them into the Ethernet ports of the nodes. This makes the mesh network an extremely useful and practical tool for building your “Farm-Area Network.” A mesh network may not be the “be-all and end-all,” and you may still want to use point-t0-point links and directional clients to expand your network. But I believe that a mesh network on the farmstead is the right place to start. It’s a funny thing… you start something with the best of intentions, step away from it, and suddenly five years have gone by. In the intervening years, a number of things have changed. Ayrstone is continuing to thrive and grow, and we have refreshed the product line with a new, far superior product using standard 802.11s meshing. Numerous other mesh networking products have appeared, from Eero and Google WiFi for large houses to a new offering from Ubiquiti that looks really good for smaller outdoor spaces (stadiums, rural homes, conference centers, etc.). Meshing WiFi is becoming mainstream, which makes this topic more urgent. Some good new low-cost outdoor access points have also appeared in the market, from Amped, Engenius (I particularly like the ENS202EXT model),and Ubiquiti, although it looks like their outdoor access points are being supplanted by their new mesh products, which is probably just as well. Next I’ll take up that post I was starting back when about do-it-yourself approaches to farm networking.